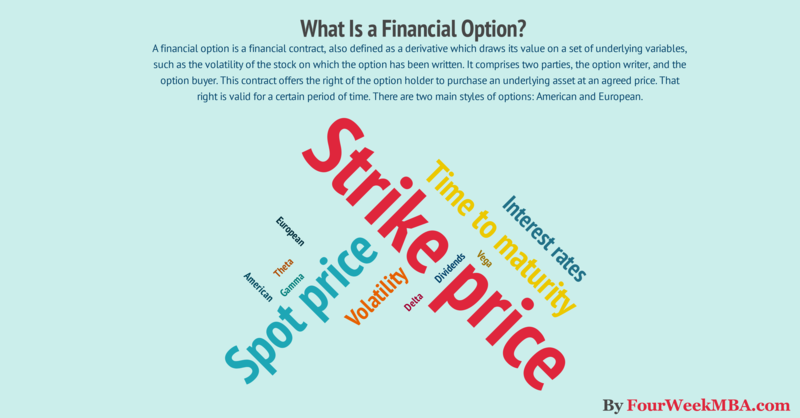 A financial option is a financial contract, also defined as a derivative which draws its value on a set of underlying variables, such as the volatility of the stock on which the option has been written. It comprises two parties, the option writer, and the option buyer. This contract offers the right of the option holder to purchase an underlying asset at an agreed price. That right is valid for a specified period. There are two main types of options: American and European. Who Was The First Option Trader? Do You Have to Be Smart to Deal with Options? What Influences the Price of an Option? Once upon a time (about 2,600 years ago), there was a man, named Thales, which came from a town called Miletus, Anatolia (modern Turkey). That man was a philosopher. Therefore he spent most of his time discussing philosophical matters rather than practical ones. Also, his fellow citizens accused him of being poor, due to his inability – as a philosopher – to make any money. One winter, Thales decided to rent all the olive presses beforehand. In fact, Thales hadn’t enough money to buy the lands, so he agreed to lease the olive presses at a fixed price, few months before the harvesting season. In short, when the harvesting season was due Thales got the right to rent the olive presses at the agreed price. Since the harvesting season was still far; Thales was able to secure an extremely low price for the right to rent the olive presses. His fellow citizens thought he was crazy. The harvesting season finally came, and it was pretty abundant. Consequently, Thales became a millionaire and he was never again worried about money; neither was he scorned by his fellow citizens. This was the first account of what we call “option” in modern financial jargon. In fact, an option is a contract that gives his owner the right to buy a specific underlying asset for a fixed price for a fixed term. For instance, Thales stipulated what is known as “call option” or the right to rent the olive presses for a fixed price, once the harvesting season would have come. Had the harvesting season be meager, Thales would not have exercised his right (option). The financial options are among the most incredible financial instruments. If used well they can be the insurance against financial markets downsides. In this article, you will learn all you need to know about financial options. Aristotle in this anecdote uses Thales as an example to show the superior intelligence of philosophers. On the other hand, he seemed to have missed the point in some respects. In fact, as modern philosopher Nassim Nicholas Taleb reports in one of his books, Thales intellect is not in his ability to predict the future thanks to his intelligence, quite the opposite. According to Taleb, Thales knew he could not predict the future at all, so he studied a way to take advantage of uncertainty. By stipulating a “call option contract” Thales made himself what Taleb calls “antifragile.” Why? Well, because his downside was limited (the price of the option), but his upside was almost unlimited (maximum capacity of lands). Therefore, what makes options so appealing is their flexibility and the fact that the more volatility (hence uncertainty), the higher the value of the option itself. In fact, many investors invest in stocks and usually put all their capital in danger. This means, that if they want to make money, they have to be 100% right. Instead, who invests in options does not have to be right. In fact, he may be 100% wrong and still lose a tiny part of his capital (the price of the option). Therefore, it is not that the stock investor is less smart than the options trader; But, rather than the options trader uses a smarter (but more complex) system. In short, the stock investor cannot afford to be wrong (although he can place some stop losses, he is still committing his whole capital). On the other hand, the options trader is using a tiny part of his capital to buy the right to be wrong and don’t lose all his capital. If we recap Thales option purchase, we can see what the main characteristics that influence the price of the option itself are. First, he bought the right to rent the olive presses (underlying asset) at a fixed price (strike price). This means that once the harvesting season comes regardless of the market value of the olive presses (spot price), he will pay what he already agreed upon (strike price). Before we complete the puzzle, you have to understand the difference between call and put option. In fact, although Thales bought the right to buy the olive presses at a fixed price (call option), he could have purchased the right to sell the olive presses at a fixed price (put option). Let me clarify these two concepts with some practical examples. Based on whether you’re “long” (you believe the stock will appreciate) or you’re “short” (the stock will lose value, you can buy two types of options: a call and a put. You have the habit of going to the farmer market each week. Although you like to buy or sell in advance, the products offered there. One day, you go up to a grower and agree to buy ten apples for $1 each in the coming week. The grower asks you $1 to secure the right to purchase these apples. This means that if eventually, you will decide to buy the ten apples you will pay the remaining $10; therefore your total expense will be $11. This is a call option and before the week passes by we can assume three possible scenarios. First, the price of 10 apples goes to $13. This is called in the money. In the call option when the strike price is < spot price. In fact, here you will make $2 (or $11 strike price – $13 spot price). In short, you will eventually buy the apples. Second, the price of 10 apples stays the same. This is called at the money (strike price = spot price). This means that you are not going to exercise the option since you won’t make any profits. Third, the price of 10 apples decreases to $8 (out of the money). You won’t exercise the option neither since you would lose money if you did so (strike price > spot price). In conclusion, it makes sense to stipulate a call option just if you believe that the value of the underlying asset will increase over time. Otherwise, you will be better off to stipulate a put option. If we go back to the previous example, you stipulate a put option with the grower. This means that in the coming week you will have the right to sell the ten apples at a fixed price. First, the price of 10 apples goes to $13. In this case, the option is out of the money because of the strike price < spot price. In short, if you agreed to sell the ten apples for $10 but the current price is $13, just a fool would exercise this option and lose money. Third, the price of 10 apples decreases to $8. In this case, the option is in the money. In fact, the strike price > spot price. This means that you have the right to sell ten apples (worth now $8) for $10, what a deal! In conclusion, you will stipulate a put option just if you believe that the price of the underlying asset will decrease. In fact, as we saw previously when we buy a call option, we hope for the underlying asset value (spot price) to rise above our strike price so that our option will be in the money. But other factors are affecting the price of an option. And we are going to analyze them one by one. If we go back to Thales account, we know that he bought a call option a few months before the harvesting season, in option jargon this is called time to maturity. How does this factor influence the value of an option? First, the time to maturity is positively correlated with the value of the option. In fact, a longer the time to expiration brings higher value to the option. To understand this concept, it is crucial to grasp the difference between an extrinsic and intrinsic value of an option. For instance, if we buy an option, where the strike price is $4 and the price we paid for that option is $1.50, how do we know the extrinsic and intrinsic value of the option? Well, assuming that the stock price is $5, then the intrinsic value of the option is $1. Why? We have to add a $ amount to our strike price ($4), for us to get to the current market value of our stock at expiration ($5), Therefore, $5 – $4 = $1, intrinsic value. In short, the extrinsic value is the price to pay to make the option available in the first place. In other words, if I own a stock, why would I take the risk to give the right to someone else to buy it in the future at a fixed price? Well, I will take that risk if I am rewarded for it, and the extrinsic value of the option is the reward given to the writer of the option for making it available (option premium). The intrinsic value instead, is the built-in profit of the option contract. Understood the difference between extrinsic and intrinsic value, let’s take another step forward. The time to maturity affects only the extrinsic value. In fact, when the time to maturity is shorter, also the extrinsic value diminishes. We have to make a couple of distinctions here. Indeed, when the option is out of the money, as soon as the option approaches its expiration date, the extrinsic value of the option also diminishes until it becomes zero at the end. Going back to Thales if, for instance, the harvesting season was ten days apart, assuming you could see already that it was fruitless, its extrinsic value would have been zero. In fact, the chances of the harvesting to become successful would have been very low. Therefore, none would pay a premium to hold such an option. On the other hand, also when the option is deep in the money, the extrinsic value decreases with time decay until it becomes zero. While at the money options usually have the highest extrinsic value. Now that we covered the time to maturity we can take a step forward and cover another aspect, volatility. When there is high uncertainty about a future event, this brings volatility. In fact, in option jargon, the volatility is the degree of price changes for the underlying asset. In short, what made Thales option very successful was also its implied volatility. In fact, a good or lousy harvesting season was so uncertain that the level of volatility was very high. In other words, in six months time or so there was either the chance of a successful harvest (up) or that of a meager one (down), no middle way. If you think about it, this seems pretty logical. In fact, while volatility makes stocks riskier, it instead makes options more appealing. Why? If you hold a stock, you hope that the stock value increases over time, but steadily. Indeed, too high volatility may also bring high potential losses, if not wipe out your entire capital. Instead, if you invest in options, you will love volatility. In short, the more price swing there are in the underlying asset prices, the more chances your option will have to be in the money once it expires. Now that we covered volatility, let’s take a step forward and see another aspect that affects the price of an option. If you are new to this concept, you may wonder what is the difference between the interest rates set by the central bank and the risk-free interest rate. The interest rate is a rate set by the central bank of a country, like the FED (Federal Reserve) in the US, to affect the economy. For instance, when the economy slows down but the inflation rate is stable, the central bank may decide to lower the interest rates. This, in turn, will make borrowing less expensive and in theory, increase the amount of spending and investments within the economy. On the other hand, the risk-free rate is a percentage paid from an investment that is riskless. For instance, if you invest in US bond, this is usually considered in finance as a risk-free asset. In other words, if you put your money where you can be sure you will get them back plus the interests. Don’t take this concept too far. Indeed, the financial crisis of 2008 showed us how also big institutions (if not the economy) could collapse. Going back to the options, the risk-free interest rates have a different effect on call and put option. In fact, when interest rates also increase the value of the call options increase. Why? Imagine the case you have to buy a stock worth $100; this means that you have to commit $100 of your capital in that stock. If in the meanwhile the risk-free rate goes from 5% to 10% you lost the opportunity to invest that $100 in a risk-free asset and make %10. In finance, this is called opportunity cost. In short, when the risk-free rate goes up also your opportunity cost increases. For instance, if instead of committing your whole capital to buy a stock, you instead purchase an option worth $5, you have $95 left of capital that you can invest now in a risk-free asset. In other words, the advantage that you have by investing in a call option is the fact that allows you to use a tiny part of your total capital while investing the remaining part in a risk-free asset. For such reason, when the risk-free rate goes up, also the price of a call option increases. On the other hand, when the risk-free rates go up the put option price decreases. In fact, your opportunity cost will be higher as interest increases. For instance, you could make more money if you sold the underlying stocks and benefited from risk-interest rates instead of holding the put option. Now that we covered risk-free rate let’s take a step forward and see another aspect that affects the price of an option: dividends payment. Dividends are the sum of money paid out by the company to its investors. For instance, imagine that you bought 10% of company XYZ. At the end of the year, the company makes $100k in profits. Of these profits 60% is kept as retained earnings a reinvested, while 40% is distributed to shareholders. This means that you will have the right to cash 10% of $40k (distributed dividends). In short, you will receive $4k. Usually, when dividends are distributed the stock price decreases. This happens because speculators tend to buy the stock of a company before the dividends are distributed and sell it as soon as those have been allocated. Thus, we can already understand how this affects the price of our option. Indeed, dividends will negatively impact the value of the call option and positively affect the value of the put option. Keep in mind that the call option increases in value when the strike price is lower than the spot price. When, the spot price decreases due to dividend distribution, this also brings the spot price closer to the strike price, thus decreasing the value of the call option. The opposite holds true for the put option. In fact, in that case, the option will be in the money when the strike price is higher than the spot price. When dividends are paid out, the spot price will decrease and make the put option more valuable. So far we saw what the main aspects that influence the price of two main types of options: call and put. Let’s see how the difference between two main styles of options: American and European. Although you may think that the main difference stands in the place where these options are traded (America or Europe), their name has nothing to do with that. In fact, although the origin of the name may be due to the different settlement practices that existed when options trading begun, the main difference now stands in how they can be traded. In fact, while the American option gives to its holder the opportunity to exercise it at any time before the expiry date, the opposite principle applies to European style options. In fact, the holder of a European option has to wait for the expiration date to exercise the option. For instance, if Thales had the chance to sell his right before the harvesting season, this would have been configured as an American option. Instead, if Thales had the chance to sell his right just when the harvesting season was due, this would have been configured as European option. In this text, we saw when that the first option was stipulated more than two thousand years ago. Also, we saw that exist two main types of options: call and put. While, the call option gives the right to buy at a fixed price an underlying asset, the put option gives the right to sell that same underlying asset at a fixed price. You now have a basic understanding of how options work. Don’t get scared if you hear at times Greek alphabet letters when dealing with options. Delta (Δ). This is simply the ratio between the change in the price of the underlying asset and the change in the value of the option. We saw, how the increase or decrease of the spot price changes the value of the call and put option. Thus, the call option value will increase/decrease jointly with the spot price, therefore, will have a favorable ratio or delta. Nonetheless, this depends if the option is in the money or out of the money. In fact, when the option goes deeper in the money, this also brings the Delta close to 1. In short, if the option is deeply in the money if the stock price will increase by $1, so the option price will increase. On the other hand, the deeper out of the money the option goes, the more the Delta will approach zero. Conversely, the put option value, will increase/decrease disjointedly with the spot price changes, thus showing a negative ratio or delta. In other words, Delta shows the correlation between price changes for the underlying asset and the option value. Gamma (γ). This is the rate of change of Delta when the underlying asset price changes. In short, Gamma tells us the speed to which Delta changes in consequence of the price changes for the underlying asset. As you can see, Delta and Gamma are related. But why would you be interested in knowing Gamma at all? The truth is that if you are buying a call or put option all you need to know is the Delta. In fact, Gamma is more important for an advanced trader, when they have to select a strategy. This topic is not of our interest to have a basic understanding of options. Vega (ν). This is a tool that shows the correlations between the option price change and volatility. In short, as we saw volatility affects the price of the option contract. The higher the volatility, the higher the value of the option contracts. But how much will the price of the contract increase/decrease with a specific % change in volatility. The Vega answers this. Theta (θ). This tool allows seeing how time decay affects the value of an option. We saw how in general when time goes by, the option loses value. To what degree? The Theta will give us this answer. Although you may not be ready yet to use these advanced tools, you have now a solid understanding of the fundamental principles that govern options value.